Did you know that the average American family has $7,149 just in credit card debt alone and that in total, Americans have $798 billion in revolving debt? If the average is $7,149, you can just imagine that some people are carrying $15,000, $20,000 or even more in credit card debt. If you fall into this category or if you just owe the $7,149, you would probably like to get rid of that credit card debt once and for all. And it is possible. The first step in getting rid of that credit card debt is to determine where you stand financially. You no longer have to balance a checkbook by hand or write out a budget. There are many tools available online that can help you better manage your finances. One of the most popular of these is Mint.com. Other favorites are You Need A Budget, Ace Money and Buddi. For that matter, you can get personal money management apps for iPhone and Android phones. I saw one app the other day where you could build a budget just by scanning the barcodes on items you buy. Is not really possible to get out of debt until you understand why you got into it in the first place. In might be due to unplanned purchases such as medical bills or a big car repair bill. On the other hand, it might be because of the impulse purchases you made that are now causing a mountain of debt. If you can identify the “why” of your debt, you can change your spending habits, which is a vital first step to getting out of debt. Most experts say that avoiding new debt is the toughest part of getting out of credit card debt. This is particularly true if you’ve become accustomed to using your credit cards regularly. However, when you’re in debt, not taking on any new debt is vital. How do you handle this? It’s very closely related to what got you into debt in the first place. If you find that you had emergency situations where you were forced to reach for a credit card, you can avoid this in the future by creating an emergency fund. Get an online savings account and put away money into it for those unexpected situations. If you put your emergency funds online, it keeps them out of your hands so that the money will still be there when you need it the most. If you find that impulse purchases are what’s gotten you into trouble, you may have to take more extreme measures. You may have to cut up your cards or even cancel them. Unfortunately, if you cancel a credit card, this will drop your credit score by at least a few points so this might not be a great option for everybody. Alternately, you could have your credit limits reduced, which would help control your spending. Making a plan to pay off credit card debt is not very difficult. You need to first list your credit card debts. Then pay off the one with the highest balance first. When you have it paid off, start making bigger payments on the one with the next highest balance. And when possible try to pay more than the minimum required so you won’t have to pay interest. We have helped thousands of American families get out of credit card debt for good through a debt settlement plan. 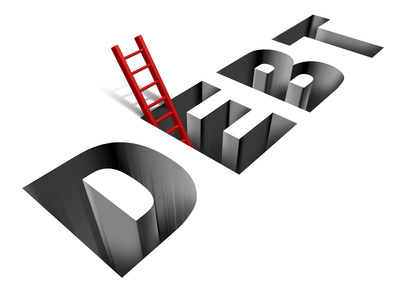 Our debt counselors will negotiate with your credit card companies to get your balances and interest rates reduced. In most cases, we have helped our clients save thousands of dollars and become debt free in 24 to 48 months. Call our toll-free number today so we can explain debt settlement in detail and how we could put it to work to help you get out of credit card debt for good.